Smokers have most certainly come a long ways from what they were about 10 years ago. You’ve heard of a gas smoker, and a typical charcoal grill that people use to get their food having that just right, perfect smoked flavor. 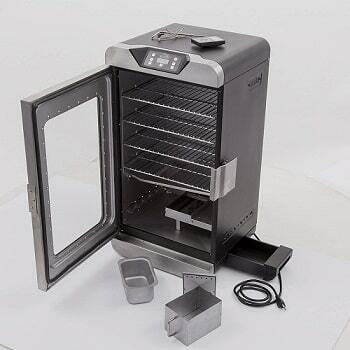 Now on the market you will begin to find more and more electric smokers, which are the newest and most modern technology when it comes to smoking your favorite foods. 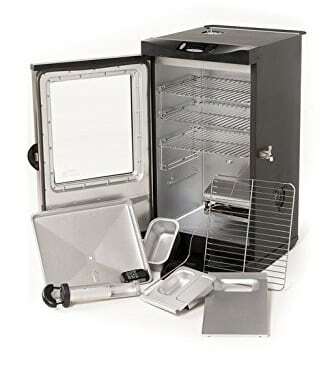 The newest electric smokers like the Masterbuilt Front Controller Electric Smoker with Window and RF Controller, 30-Inch, are like non other that you have experienced the joy of using before. Masterbuilt is actually a growing popular brand in various types of grills and smokers. 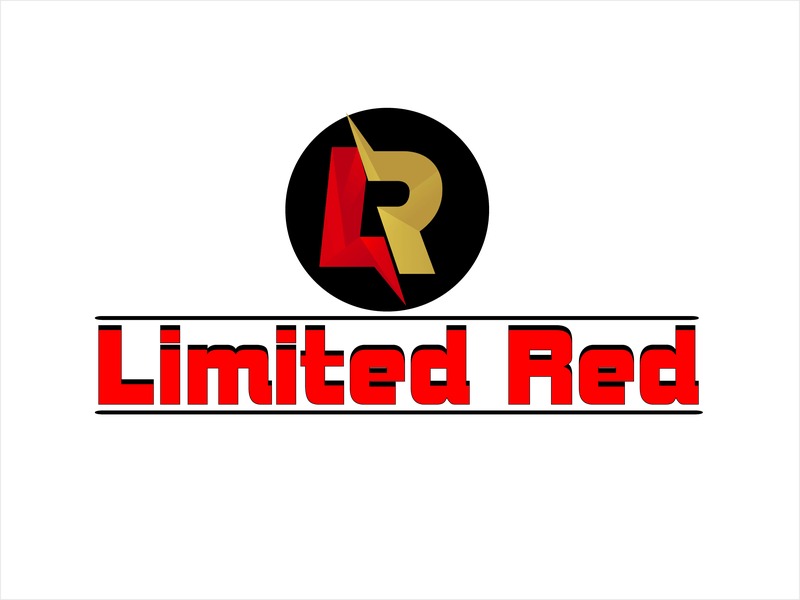 The company works hard to build the most upgraded smokers and grills that will fulfill the needs and over exceed the expectations of their consumers. Just think of how you will be able to smoke your favorite ribs or chicken, while using your select favorite wood chips. You get the experience of being able to do this all while watching your food through a front window of one the most superb smokers built. 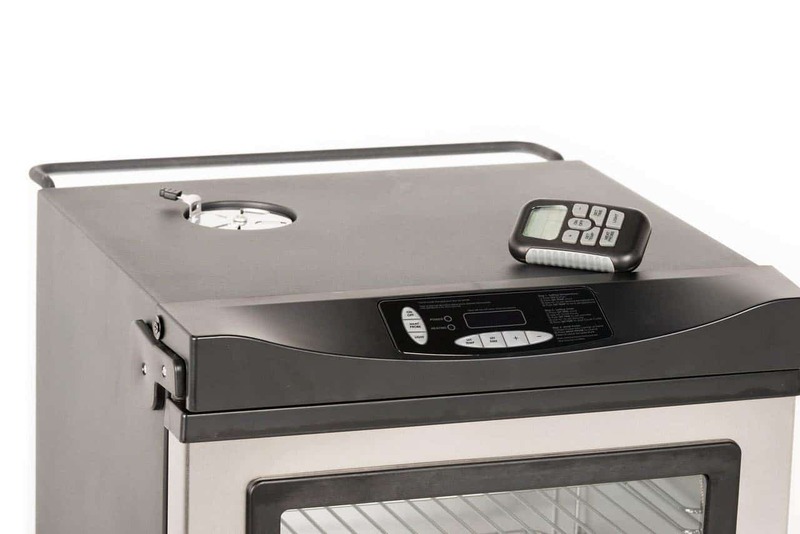 The Masterbuilt Front Controller Electric Smoker that is 30 inches in height and includes a glass window on the front of it, sounds like a dream. 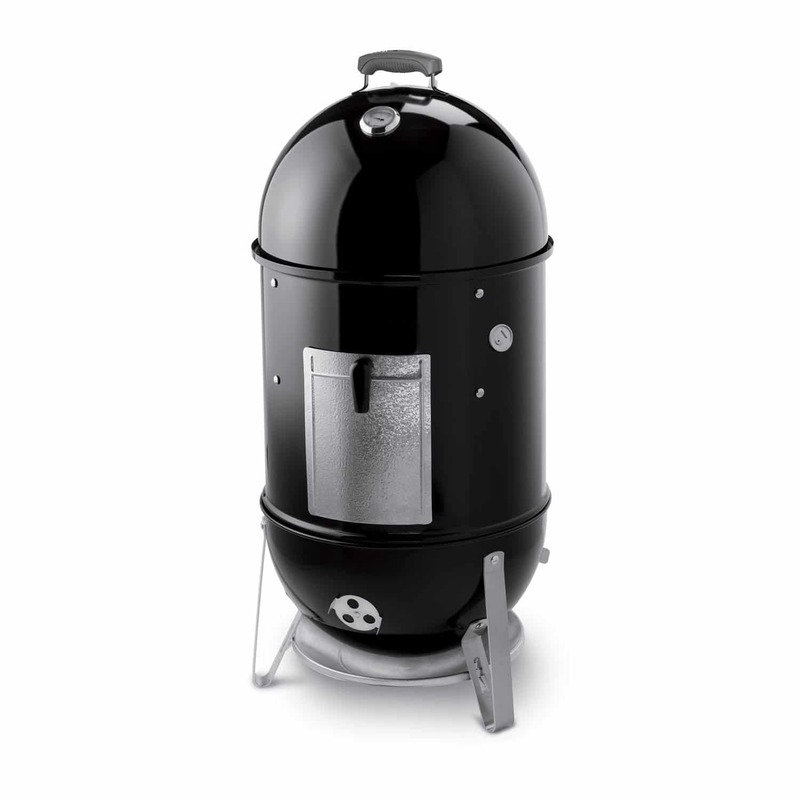 Better yet, what makes this smoker even more fascinating is that it comes with a remote with different functions and controls. 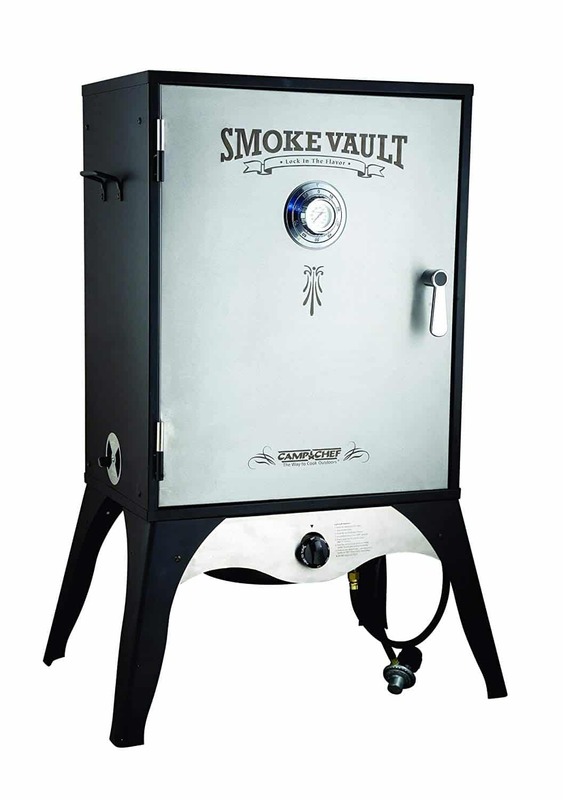 This uniquely built smoker is just right for those who are new to electric smoking as well as for those who have been in the game of smoking their foods for a long time. An even better advantage that consumers will love about this smoker is that it will feel much safer to use than a grill that requires gas or charcoal because this one requires neither of those items. So let your mind be put to ease knowing that you don’t have to worry about accidently burning yourself or catching something on fire. All you need to do is plug the smoker into an outlet to turn it on, and set the controls with your remote. The rest of the work is done for you after you have placed your food inside it to smoke. 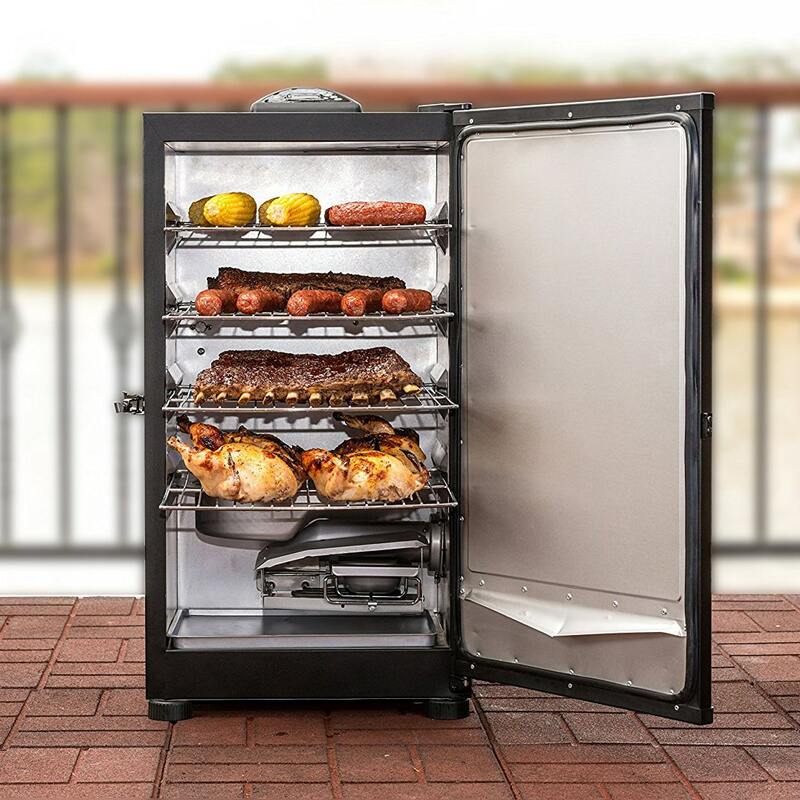 So you can really feed an entire family or party of people with all of the meat that you can smoke all at once. It’s very easy and convenient to do with its innovative design. Hickory – Hickory is a versatile wood chip that will actually go well with any type of meat. It’s considered to the ‘original’ or basic option for smoking your meat. Apple wood – Apple wood chips will give the best smoke flavor to chicken and pork. Mesquite – Mesquite wood chips have a very strong flavor and it is typically paired well with beef. Alder – Alder wood is good to use for smoking fish. 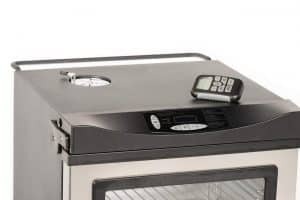 Let’s look further into the features of the control panel and the remote for the Masterbuilt Front Controller Electric Smoker. With these two features you can easily set the temperature right for your smoking needs. Monitoring your smoker while it cooks your food has never been made easier, because with the click of the button you can change the temperature by setting it higher or lower when needed. 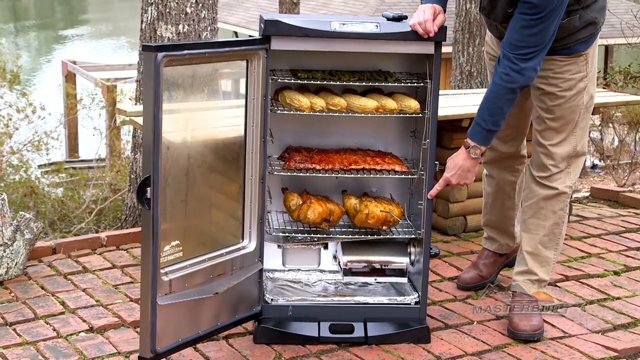 The favorite feature for most people who are attracted to this smoker tends to be the fact that you can watch your food as it cooks inside the smoker. A feature that many other electric smokers don’t have.